There are 7 papers accepted for publication in future issues. For details check the "In press" section from the "Home/Journal" menu. Starting January 2018 all papers are submitted and reviewed exclusively online. 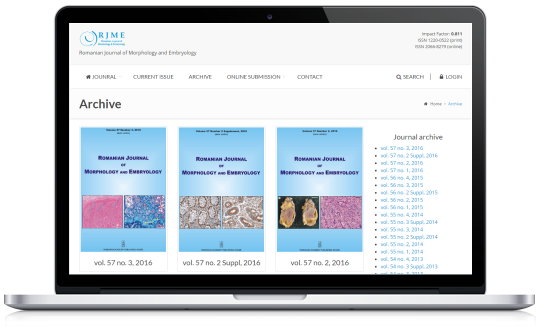 The RJME website provides an online submission section. All manuscripts must be formated in the manner sugested by the RJME template and Guide for authors. The My Submissions section contains the status af previus submitted papers and offers the posibility to submit revisons. 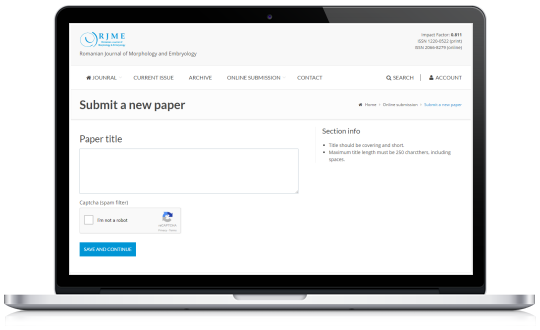 The Submit a new paper alows register users to corectly submit papers for review and publishing. We provide full open access to our papers, our archive dates back from 2004. PDF papers, cover and table of contents are provided for all journal issues. Have new results? Publish your paper! We'll be happy to discuss any subject related to the Journal. Use the contact form in the Contact section.